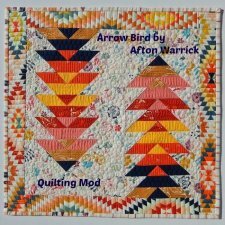 "Hello, I'm Afton Warrick from Quilting Mod. 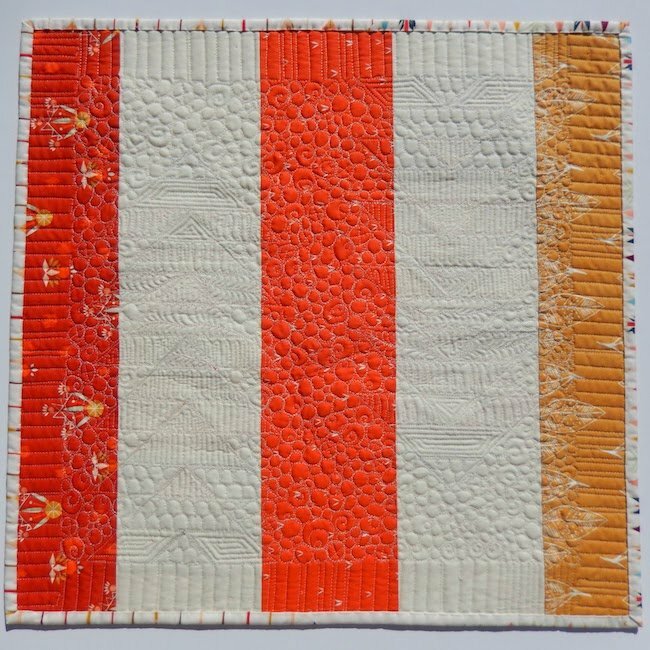 It is my honor to join the Fort Worth Fabric Studio for Mini Quilt Mania! 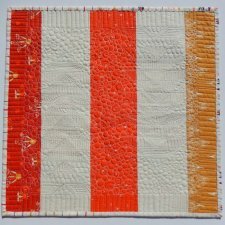 My 18" x 18" paper-pieced mini is a reflection of my taste for modern fabrics and the southwestern region where I reside. 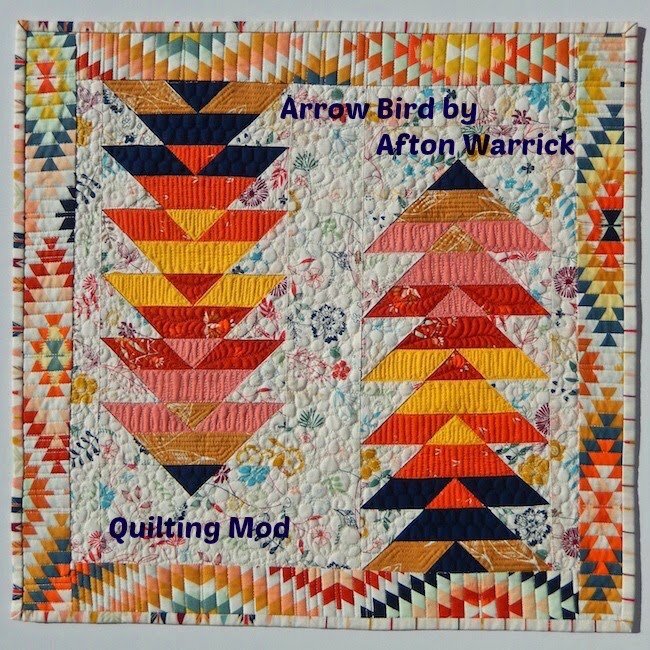 I've paired April Rhodes' Wanderer and Maureen Cracknell's Wild & Free for Art Gallery Fabrics, with coordinating Kona solids in "Arrow Bird"."